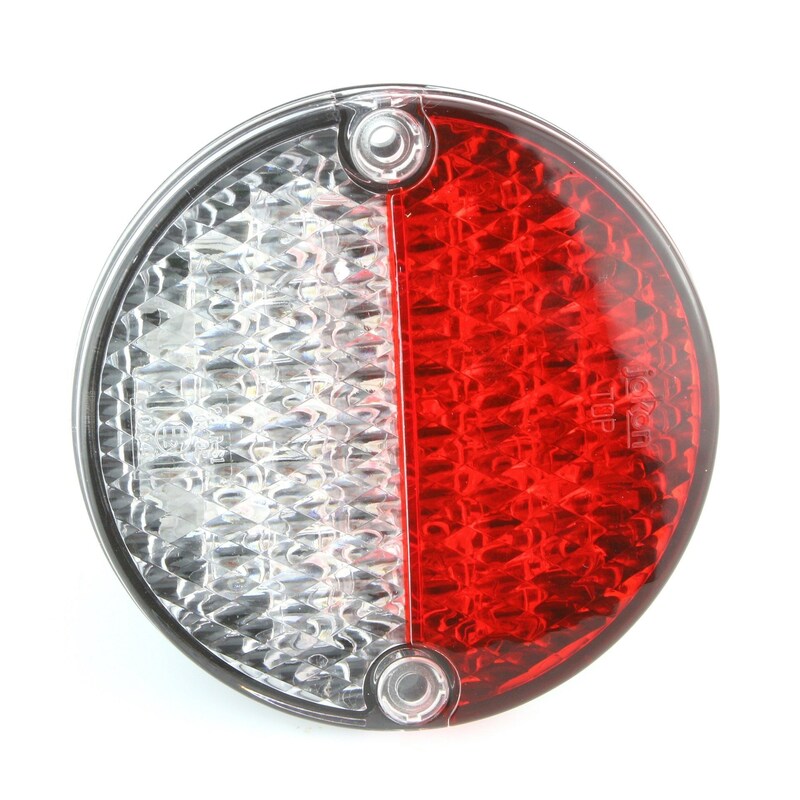 These rear lights have an overall diameter of just 95mm (3¾") and mount through an 80mm hole. Two 4mm through holes for screw mounting from the front. Blanking plugs included. Ultra-bright LED’s. Red /Clear Stop/Tail/Indicator.